The unprecedented reaction by the government and people of New Zealand, following a murderous gunfire spree by a white terrorist in a mosque in the city of Christchurch, has been met with global admiration among those advocating peace and harmony everywhere. The approach adopted by the New Zealand authorities and the people was indeed a sight previously unheard of. 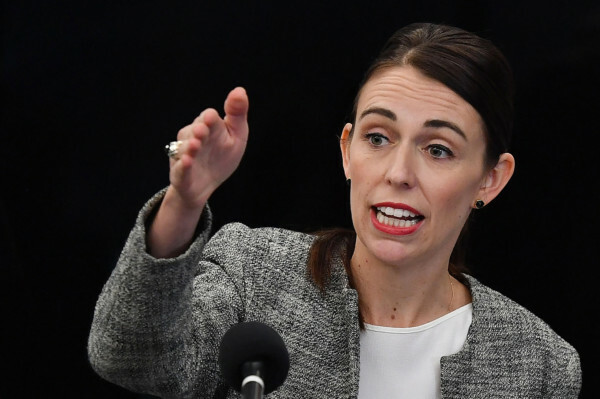 Muslims globally, who had initially been shocked at the actions of a demented white nationalist who killed 50 people in a mosque, were surprised by the immediate acts of New Zealand’s Prime Minister Jacinda Ardern. The Kiwi leader led from the front, described the despicable act as ‘terrorism’, and quickly set in motion a series of events that brought people together. Arden took to wearing a hijab and personally visited the Muslim community on a daily basis following the shootings, to provide love and support. Her mourning was genuine and throngs of non-Muslim Kiwi women took it upon themselves to don the hijab in a show of solidarity with their country’s minority Muslims. Flags across the country flew at half-mast, while the media covered the Muslim voice in depth, with detailed interviews with the families of those affected, adding faces to the dead. A countless number of people gathered all over the country to lay flowers outside mosques and show their support within hours of the news spreading. Kiwis along with the police patrolled outside mosques to ensure safety for the occupants within. They graciously opened their homes to provide free shelter, food and support to all those affected by this tragedy. The call to prayer was publicly heard throughout New Zealand during the Friday prayers following the attack. The government, to ensure strict control and minimise future occurrences, passed a law banning the sale of semi-automatic weapons. What really endeared the government and people of New Zealand to Muslims everywhere was that all the outpourings of support and sympathy were genuine. It brought some comfort to the millions of hapless Muslim immigrants to foreign lands who had fled their countries due to oppression or wars from foreign powers imposed on their soils. From the Uighur Muslims previously residing in China’s semi-autonomous region of Xinjiang to the Rohingya Muslims fleeing the Buddhist terrorism by the Myanmar government, these Muslims had to find a home elsewhere to survive. From the fields of Palestine to the snowy regions of Kashmir, Muslims have suffered immensely in the last few decades. From the millions of Iranians who fled Iran after the Shah fell, to the millions of Iraqis, Syrians, Libyans and others who had to find new homes because of wars and unrest generated because of political designs or profit, Muslims had to flee to find solace and security. These refugees were not looking for trouble but peace and survival. Unfortunately, in some of their host countries they were not so well treated and quite often ostracised by the manner, dress or faith they practised. Whether it was in the Americas, Europe or Australia, Muslims were targeted and often subject to verbal or physical abuse. Documented events in the US, Europe and Australia detail some of the severe chastisement these immigrants have been subjected to. It is overlooked that most of these immigrants did not become homeless or hungry back in their countries by choice. The terrors forced upon them and their families forced them to flee. Grand designs by world powers in recent times have seen the acceleration of hundreds of thousands of people being uprooted from their native soil and desperately fleeing to become refugees. Theirs was not a choice but a necessity to move elsewhere. New Zealand has shown the world how to deal with their minorities in a civilised manner. They did not outcast them or deride them or blame them for the white nationalist shooter’s motives. They made them feel welcome as one of their own. And for that the Muslim world is grateful. It is an act of humanity that transcends all boundaries of ethnicities and beliefs. Hats off to the Kiwis!